Home > Student Services > TRiO > Who May Participate? If accepted into the Student Support Services (SSS) program, you will be expected to maintain sufficient contact with the program by participating in activities, meet with your SSS Counselor regularly, and follow through with "prescribed" activities such as tutoring, study skills sessions, and workshops. 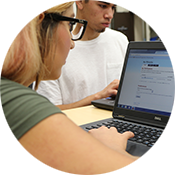 The program is long term and you will be given access to all services until you graduate from Gavilan Community College. 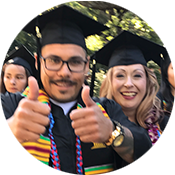 Maintain at least 9 units per semester (Fall & Spring) and be working toward a degree at Gavilan College and/or planning to transfer to a four year university. Have 45 (attempted) units or less and be in academic good standing (GPA 2.0 and above). Not be a current or past participant of Gavilan College's EOPS program. If you are a 2019 graduating high school senior, and interested in our 2019 Summer Bridge program, please visit our Summer Bridge Website. *Please submit completed application to TRIO Office with a copy of your parent's 2016 Federal 1040 Tax Forms if you are a dependent student. If you are independent, please submit a copy of your 2016 Federal Tax Forms.